The Qingming Festival (Qīngmíng Jié 清明节), know as Tomb Sweeping Day is a traditional Chinese Festival. Qīngmíng Jié (清明节) in Chinese means “pure brightness Festival” or “Clear and Bright Festival”. It corresponds with the onset of warmer weather, the start of spring plowing, and family outings. During the Qingming time, the climate in China is getting warm and Spring is coming. A good time for people to go outside and enjoy the greenery of springtime. 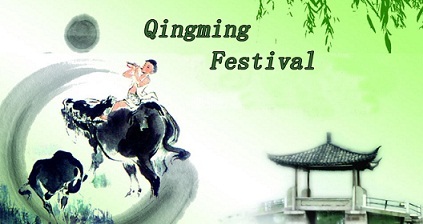 The Qingming Festival has been observed by the Chinese for over 2500 years. The most important is the day for mourning the dead in early April every year! 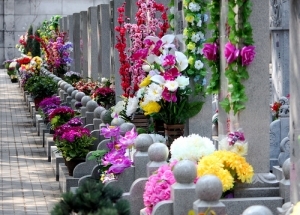 It known as Tomb Sweeping Day, a public holiday in mainland China in 2008, falls on the 5th of April 2019. Qīngmíng Jié is often marked by people paying respects to those who died. Other translations include Chinese Memorial Day and Ancestors’ Day.